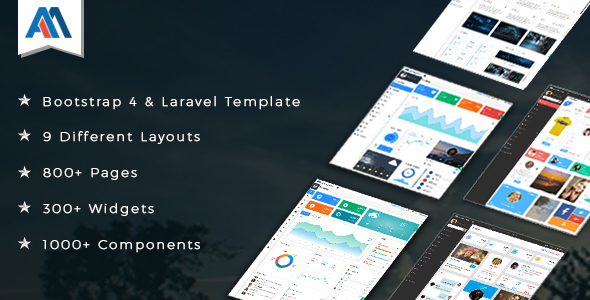 Admire is a bootstrap 4 based admin template built with developers in mind. It comes with 70+ pages and 6 layouts. It has 6 colors schemes and 2 dashboard styles and plenty of widgets. We have used gulp for asset streamlining, so it will be very easy for you to customize it as per your needs. Note: Images Used in demo are not included with downloads.